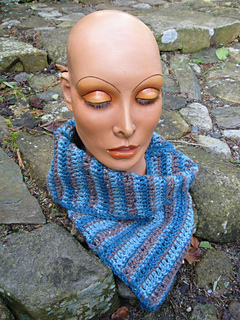 This cowl style neck wrap is essentially a scarf without the irritating dangling ends. It is crochet using UK double and treble stitches. It is simple and easy to make and suited for a beginner.